Need a fun, family activity this Saturday? 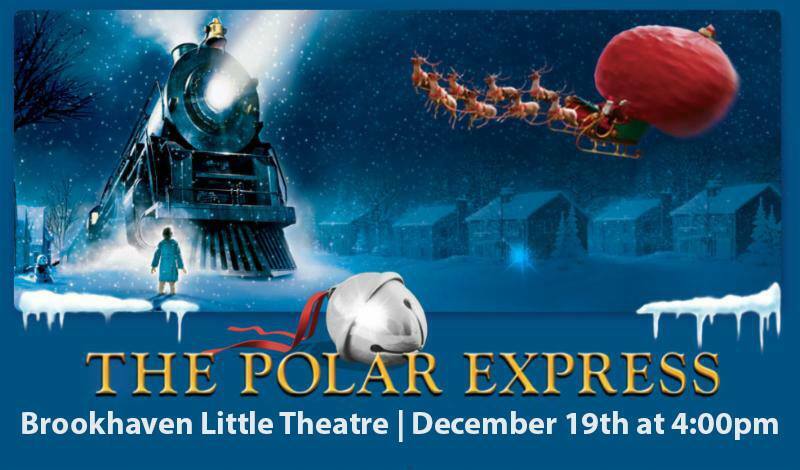 Brookhaven Little Theatre will have a showing of “The Polar Express” this Saturday, December 19th. This holiday movie will be sure to spark your child’s imagination and give you a good dose of the holiday spirit. Tickets are $10 and includes popcorn and a drink. There will also be a FREE hot chocolate bar! AND every child will leave with a keepsake Polar Express bell ornament! We hope you and your loved ones will enjoy an afternoon out in Brookhaven and join us for a magical movie experience. The showing of “The Polar Express” will be held at the Brookhaven Little Theatre Saturday, December 19th at 4:00pm. Bring the kids or some good friends and have a merry time! Ticket sales start at 3pm and are $10, general admission. For ticket information call 601-669-1878.